Reliance Jio is offering unlimited 4G data & voice calls but how to take benefit of all these offers? So, first of all you will need to understand jio sim activation process & Reliance has already made it much more simple. If you are still facing any problems while activating sim card or want to check Jio sim activation status online, then we do have some solutions for you. How do I generate Barcode? What is the price of sim card? What is Jio eKYC Process? How to apply for Reliance Jio eKYC activation? How to use Jio sim in iPhone? I got only 2GB data, how to convert it to Unlimited? Jio 2GB Exhausted, Now What? What is default APN setting for Jio 4G? Why network is not available on my Jio sim? What is Jio Customer Care Number? I want to activate only mobile data, how to do it? Tele-verification Call is not connecting..
What is the Time Required for Sim Activation? Is my phone VoLTE Compatible? How to Know My Jio Number? Is it possible to purchase Jio sim card online? Where can I find Jio4GVoice for iPhone? Can I use Jio in 3G Phone? Why I’m Getting only 4 GB Data per Day? 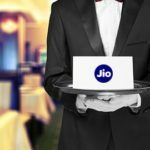 Can I Check My Jio Sim Activation Status Online? Is there any way to activate jio sim online? Can I migrate from Welcome offer to Preview offer? Once I insert Jio in my phone, I can not put any other sim in it. Is it right? How many sim cards are allowed per person? Can I Get Number of My Choice? If you don’t know how to get free Jio sim, please refer to this article first. All you will need is Aadhar card & barcode. This is called as eKYC process. Manual process : If you don’t have Aadhaar card, then you have to carry 2 documents, one for address proof & other for identity proof & 2 passport size photos. Do not forget to provide your valid email id at the time of purchase. Activation process is completely online. Once you receive free sim card, you will get an email from company. Follow the steps in the email to activate the sim. Receipt of bill will be mailed to you & you will also receive the sms of the same. You should receive 2 messages. One is of ‘order confirmed’ & other is of ‘sim verification’. Unless & until you receive these 2 texts from Jio, you can not proceed further. Keep patience because it might take up to few hours or even days. That was all about activation, but now next step is to verify the ownership. Make a call on 1977 (toll free) number. Customer care employees might ask you the details in the receipt (which you got in step 6) so keep it in front of you before making call. You also need to enter last 4 digits of Adhar card for verification process. If you are not being able to call 1977, please read the FAQ given below. We have given a solution for this problem. Jio activation time can vary from few minutes to few hour. You can expect activation delay if there is heavy load on reliance servers. Check this article where we have given complete steps with attached screenshots. It’s absolutely free of cost. But I have heard that some dealers are charging up to 500 Rs per sim. eKYC is based on Aadhaar card verification of address & identity. It is much faster than manual verification & takes 3-4 hours or even less for Jio activation. Many people have reported that their sim was activated within an hour after eKYC application. Note : there is no ekyc registration form available nor you can apply for it online. You can only register at physical stores. Generate offer code in your 4G smartphone. Carry original Aadhaar card & offer code. Visit nearest Reliance digital store. Now many local retailers are selling it for 50 Rs – 500 Rs. If you don’t want to stand in queue, then go with 2nd option. You will be taken through biometric process (finger print verification). Then show the barcode in your phone. All the details will be uploaded to Jio by the employees instantly. Within few minutes, you will get sms on alternate no regarding order confirmation. Wait for 3-4 hours (it may take even longer) & enjoy the free services. Generate barcode on any android phone & buy sim using that code. When you get a message of tele-verification, put sim inside your iphone. It will show no service. Go to settings & click on mobile data. Now tap on mobile data option & enable LTE (voice only). A popup will appear & this time you have to again click on enable LTE option. Wait for few seconds & Jio network will start showing on iPhone. Go to dialer & call on 1977. Follow the instructions for successful activation of Jio sim. Once it gets activated, remove sim card & again insert it in the phone. Now again go to settings & turn on mobile data. Then click on mobile data option & choose voice & data. Open MyJio app & sign up for activating welcome offer. This means, either you are not getting range or your sim card has not been activated. Just see some of the solutions mentioned below..
Switch off your phone & insert sim again in primary slot. Restart your phone & choose 4G LTE network for sim slot 1 from settings. Now it should work, if not keep reading this post until you find solution. Just call on 1977 to activate sim. But before that, you must use JoinJio app for activation of number. Put Jio sim in slot 1 > Turn on device > enable mobile data on Jio > Open JioJoin app and grant all permissions > Then use the dialer given in the app itself to call 1977 (make sure your 4G data is on else call will not connect). Even though your smartphone is 4G, it doesn’t necessarily mean that it supports VoLTE ( Voice over Long Term Evolution) too. Jio network uses 4G connection to connect calls which drastically improves voice & video calling quality (2 times more than 3G). Many of our users are facing issues while making incoming & outgoing calls. This means that their phone is not supporting VoLTE at this moment. All you can do is use JioJoin (now renamed as Jio4GVoice) for making calls. But you don’t need to worry because this problem will not last longer. Many smartphone makers are now sending updates for VoLTE support to their customers. For example, recently Micromax rolled out new update to Yu Yureka to fix this issue. It’s independent of hardware, so if your handset is 4G then just seat back & relax until this update hits your phone. Unlimited data is a part of Jio Preview Offer. So to activate it, just download MyJio app from play store & sign in using same number which you have bought from reliance digital store. Now within few seconds, a pop will appear to confirm subscription for Preview Offer. Click on Submit & enjoy unlimited 4G data for complete 90 days. Many people think that they will get unlimited 4G after consuming 2GB data but it’s not true. Actually, you have to enable ‘welcome/preview offer’ when you have data left on sim. Even if you have exhausted all data in your account, you can still access My Jio. Just turn on Jio data & open MyJio (you won’t be charged) > click on ‘welcome offer’ popup > Enjoy free net! Make sure you have strong signal strength. Then go to settings & choose ‘prefer mobile data over calling’. Now check your speed. Some samsung models have in built option called ‘download booster’ in ‘more connections & settings’. Either way, you can try this 5 tricks to increase internet speed by 200%. Once you get the range, just switch on mobile data. If you are not getting connected to internet, then something wrong has happened. Make sure that you have inserted your sim in primary slot. If you have dual sim 4G support, they you can insert in any port. Choose Jio 4G option from the list. Now you should have received range! Still facing issues, don’t worry. Just visit this guide. For any queries, call on 1800-890-1977. You can use alternate number which you had provided while buying sim card for making a call. If they are taking too long to respond, then try these alternate methods. Simply call on above mentioned number to opt for this feature. Move on to Google play store & download JioJoin app. Open it & you will see popup : Do you want to use JioJoin as text messaging app? Click on yes & now call 1977 number. That will fix your problem. Not more than 5 minutes! Just follow the procedure given above & you will face no problems. Jio sim activation time is estimated to be 1-2 days in case there is heavy demand. Still have questions? Then comment below & I will get back to you with solution. We have got an easy method to find out whether or not your phone supports VoLTE. If you haven’t received 2 messages on alternate number within 4-5 days of buying sim, then you need to fix it manually. Either contact the dealer from where you bought sim or call customer care from alternate no. Try dialing *1# USSD code as it is already working for most of the telecom operators like idea & Aircel. Yes! Now you can buy jio sim online. Just register on the link given here to get jio at your home. Since your costliest phone has already got VoLTE support, you don’t need to download any extra app. That’s why you will not find it on Apple store too. Use your phone’s default dialer to call 1977 for verification and outgoing calls. You can use it in some Mediatek powered android devices. Here is in-depth guide to use this trick. This problem is coming because you do not have active internet connection. To solve this, just turn on Jio mobile data & then open JioJoin (now called Jio4GVoice). It will 100% work after following above steps. Go to settings & click on ‘applications’. From the list, select Jio4GVoice & tap on ‘permissions’. Grant all the permissions one by one and then you are done! We have dedicated article on this topic here. Sometimes it can take upto 7-8 attempts to make a call from Jio to other number. But in most of the cases, fault is not with your Jio sim but with the network to which you are calling. Recently, Airtel has announced to provide more POI (Points of Interconnection) which will ensure quick call connection with good voice quality. First of all let me tell you, Jio preview offer & Jio welcome offer are different from each other. Earlier, that is 1 month ago users were getting enrolled for Preview offer. It was giving unlimited data, calling & there was no capping over 4G usage. On 5th September, users plan were automatically migrated from preview to welcome offer which now gives only 4GB data per day. Once you cross this limit, speed will not go higher than 128 Kbps! But you can again use 4GB data on next day till 31st December 2016. So, is there any way to bypass this? Unfortunately No. But if you are ready to spend 1999 Rs they JioFi is best option. Reliance’s official site promises to give high speed data on JioFi as a part of welcome offer. Means probably there will be no capping over data. If someone of you can confirm this, then please comment below so that everyone can take benefit of this offer. Have you seen jio plans after 3 months of welcome offer? With each plan, you get some JioNet hotspot data. Many people think that this data can be used on their Jio sim through Mifi router but that isn’t the case. Reliance has public wifi zones at few places and there you can use this JioNet data. No you can’t because there is no such system available right now to check live activation. This authority is only given to Reliance executives so obviously you can not do anything to speed up the process. Here is small tip from my side : If possible, try to get jio from Digital stores instead of local retailers for fast sim activation. This is not possible & you have to adjust with 4GB data/day. However, you do get rest of data at 128 Kbps. Better is to go with JioFi device which gives free data with no capping at all. Here is complete information about JioFi setup, price & plans. Absolutely wrong! I don’t know who has spread this rumor, but I can’t find any logic here. It is possible that the sim you are using might not work in another phone as it is tied with IMEI number. But you can switch to any other network easily if you don’t want to continue with Jio. There is no official statement regarding this question but I have seen many guys getting multiple sims on their own ID. All you need is different barcode & device each time. If you know rooting, then you can do this with single phone. Additional info : As per TRAI (telecom regulatory authority of India), an individual should not have 9 sim active simultaneously registered via same ID. If you have bought sim using eKYC process, then there is no need to call 1977. Just put sim & use it straight away. Since Jio numbers are randomly generated on the spot, there’s no chance to get choice/golden number. But these feature might be rolled out in coming days. There is no difference at all! I have bought 1 sim with red packet & 3 with blue but didn’t noticed any change in activation process. Although Jio plans are lucrative, there is brutal truth & very few are aware of it. Welcome offer gives you unlimited data but speed is capped to 128 kbps after 4GB limit. Almost all plans provide you some free night data ranging from 200 MB to unlimited GB’s. But there’s a catch! As per Reliance night begins at 2AM & ends at 5AM. If you look at other brands, they are offering night data from 12AM to 6AM. Jio has wide range of plans starting from just 19 Rs. But after 30th December, you can not use 19, 129, 299 Rs plans for your first recharge. I hope, I have answered all the queries related to Jio activation & problems. You can also go through the comments given below to clear doubts. I am using the jio sim from one month but today suddenly my sim is closed. not showing any network may be its locked. so please give suggestion to unlock the sim. my jio sim and its net was working as i was in punjab.but now i hav moved to pune sim signal is coming but internet signal is not showing and working.your help will be appreciated. Use bluestacks to generate code. My friend was also facing same problem but even after trying hard we couldn’t get that option. Hello sir, i have gone to buy the jio sim with adhar card proof and barcode number near to my home relaince digital express they recognized my finger print two times and they scanned my barcode from my phone it cant read so they told to write the barcode number in that book and told message can be sent u within 2 days. But i haven’t received the message from jio network. Whats the problem sir? You have to give 2 thumb impressions (I think first is for detecting Adhaar identity & second for the confirmation that you really want to buy sim). Have you bought it from reliance store? If yes, then don’t worry. I’m not getting signal on jio sim, i use oneplus x and have updated it to latest oxygenOS. I put jio sim in sim 1 slot and turn data preferred to jio 4g sim, put network on LTE mode. I can search IND JIO 4G but can’t register with the network. I have received both the messages, later one that it’s ready for tele verification. I also can’t connect to helpline no from my airtel no as it always says all channels are busy may it be day, night, or any time. I am struck very badly in this situation. It’s been over 35 days since i bought the sim. Tell me if there is any other option that i can try, i have almost tried everything i found on Internet. I have also sent them emails and got reply that they will respond within 48 hours nd more than 50 hours passed still no response…..
One of my friend with OnePlus X limited edition was facing same issue & he solved it this way: Goto settings > sim cards > cellular data > select a sim for data > choose Jio 4G. Seems like there is bug in software. Just format phone from customer care & (most probably) it will work. data service is the 1st thing which gets activated, please use correct apn, restart phone. This would work. Problem might be with Airtel. When they will arrange more POI (point of interconnection), you will be able to communicate smoothly. This problem will be solved soon as it is mandatory to provide necessary POI’s. I have a small doubt, after use of three months free period offer, is there any rent we have to pay or any package. Suppose after completion of three months, can we close the connection or cancel ! What are the terms and conditions. Kindly let me know ! I am very much worried ! some friends are telling that after three months period, if you close the connection, they will send court notice for payment. Is it true ! i don’t think so ! so can you tell truth. Anxiously awaiting your reply. I went through eKYC,my sim started next day worked for two days,now its not working and its always showing offline.i am using Lenevo zuk z1.i could call and use data for two days after that its not working.tried calling 18008899999 its only playing music all the time nobody is available.tried resetting APN, Switchimng off and reinserting Sim all in vain. Sim is not working since last seven days .even the retailer from whom i brought sim is negligent and has no knowledge on this . it seems ZUK Z1 is not a VOLTE phone. Can you please put this SIM on a VOLTE phone and see if JIO is working there or not. Also, if you dial your number does it say switched off ? or any other message ? my jio sim is activated. 4G data is also activated but when evr i try to call they say that your out going call facility has been disabled please call 199 for activation. but when i dial 199 same msg they repeat. this problem i m facing from last 4 day. earlier phone calls were working. I received the first message 16 days after getting the Jio sim. It stated my order number. The next day I received the 2nd message saying that there has been some mismatch or incomplete information due to which the application could not be processed. I went to Jio office and submitted the documents again (Bank passbook). 2days later, 4th October, I received the same message saying that there has been some mismatch. Anyone else facing the same problem please help! if your phone is VOLTE, then no need for this app. your phone is not VOLTE, so need data and jio4gvoice to dial and data enabled to receive calls. your SIM is already activated, put that SIM to your phone and use it. put the SIM to 1st slot, and you are all set. I would suggest to add apn, restart your phone, data should work. with eKYC, SIM gets activated immediately or within a few hours. Please contact the person from whom you took this SIM. i have brought the jio sim nearly 15 days ago. Than I got 1st message about the confirmation of the application with order number. Due to overwhelming response to our Jio Welcome Offer, there may be some delays in activating your connection. We will inform you via SMS once your JIO number 79090***** is ready for televerification. Thank you, Team Jio. What can I do plz help me…..
just check if you can activate by calling 1977 if not then visit the store with your documents. Even I am facing the same problem Bro, incase you receive any information about please do share with me! Thank you! Me sim leke ek mahina ho gaya na koi msg aya na hi sim activate huyi. Store pe gaya to koi interest hi nai le ra, koi ho jayegi bol raha h. koi nai hogi bol raha he. Kya karu me mere pass barcode adhar sim sab he fir b sim active nai ho rahi h kyu??? I am using Xiaomi redmi 2 which does not support volte but support LTE network, I received jio sim yesterday and call the given number from alternate number to activate internet but it is not working, internet is not connecting, what should I do? My sim got activated yesterday but I’m unable to make voice calls incoming and outgoing. My mobile is Redmi 2 prime. Data activated but no voice calls. I called 1977 n got televerified .after that also 2 more messages came stating that we couldn’t process your sim activation due to overwhelming response. Problem is not from your end. Sim will be activated within few days. I have done e kyc online. Finger print is taken but network not available. I have done all setting in phones and 2 Days have been passed but sim is not registered on network. I’m using samsung j7 LTE. Please read thoroughly and follow the step-by-step procedure on how to activate the Jio sim. Aryan Kumar has posted a brief information about this. I have also posted the same information on September 28th. You should be able to receive Jio signal if you configure your phone correctly. 1. Insert your Jio sim in SIM SLOT – 1. 2. Go to settings –> SIM Cards –> under “Preferred SIM for cellular data”, select “Jio 4G”. (Very Important). 3. Go to settings –> click on “Cellular Networks” –> click “Preferred network type” and select “LTE”or “4G” or whatever relevant option is displayed on your phone. (Very Important). 3. Go to settings –> click on “Cellular Networks” –> click on “Network operators”. Now your phone automatically starts to search for “”other available network signals””. After the search gets completed, you’ll be able to see a list of network signals available in your area. You’ll find “LOOP 4G” or “Jio 4G” or “LOOP” in the list. Just click on that. If by any chance your phone does not search for other network signals, you’ll be able to find an option called “Chose a network operator” or “Manual search” or any relevant option on your phone. Just click on it. Then, your phone starts searching for other network signals. 3. Now, your phone should be able to receive Jio 4G network signal. If not, just restart your phone after following all the above steps. It should be fine by now. 4. Now, you have to manually create an access point. Just thoroughly follow Aryan Kumar’s post on how to manually create a Jio access point and you can start using Jio services for free. I hope I have explained you very very briefly… LOL !! Just patiently read what Aryan Kumar has posted guys… He explained everything in detail. Your Jio problems will hopefully come to an end. and yeah, LOOP 4G network is none other than Jio 4G ! Don’t let the names deceive you. No confusion now. For those who have gone through eKYC (i.e, giving finger prints and Aadhar Card number in any Reliance digital stores while obtaining Jio sim.) need not wait for Tele-Verification. The sim gets activated very quickly. But, those who have NOT gone through eKYC (i.e, submitting passport-size photos and xerox copies of Aadhar Card in any Reliance digital stores while obtaining Jio sim) should wait for Tele-Verification message from Jio customer care, then dial 1977 and verify your identity, only after which the sim gets activated. Waiting is the only option left for these customers. I did not went through eKYC process. I gone through xerox and passport size photos method. After giving proof, now it’s nearly 4 days completed then also jio sim not activated can you give me solution? Like I said before, you have gone through offline verification process. You have to wait for the tele-verification and activation. There is no other solution for this. You just have to wait patiently for some more time. However, I cannot estimate the waiting time. I have taken Jio on 3 rd September. Yesterday night, I got 1st msg that your number has registered successfully, but I did not got 2nd msg till now. Can you give me a suggestion? it seems that eKYC process was not made available to the customers who obtained Jio sim during early September. Well, I think you have submitted passport-size photos and xerox copies of your Aadhar Card. You need to wait for some more time. There’s no other option. Many users didn’t get their sims activated. One of my friend got a JIO sim on July 31st and he’s still waiting for the Tele-Verification message and sim activation. You just have to wait my friend. But, Reliance has implemented eKYC from September 26th and re-started circulating Jio sims which is now helping the users to activate their sim instantly. For those people who have gone through eKYC need not wait for Tele-Verification. In Helpline no adviser receive the call for solving my problem. There is a problem after card change from 4G dongle to mobile slot which support 4G data connection but it goes in offline mode. 1. For all those who have got Jio sim from any Reliance Digital/Xpress/Mini etc. and if they have gone through e-KYC, their numbers get activated automatically without any Tele-Verification. 2. First of all, insert your Jio sim in SIM SLOT -1. In your phone, go to “settings –> SIM Cards –> select “Jio 4G”” under “Preferred SIM for cellular data”. 3. Then, again go to “settings –>Cellular networks”. You can see the Cellular network settings for SIM 1 and SIM 2. As you have inserted Jio sim in SIM SLOT 1, you’ll be able to see “Jio 4G” column under which there’s an option called “Preferred network type”. Select “LTE”or “4G” or whatever relevant option is displayed on your phones. 4. Reboot your phone. Now, there’s a strong possibility that your phone will be receiving Jio 4G signal. 5. For most of the Jio users, the access point for Jio sim is not automatically configured. In order to manually configure an access point, go to “Settings –> Cellular networks –> Access Point Names”. 6. Now, it’s time to create a new access point. select “Add a new APN” or “new APN” or any relevant option on your phones. It’s done. Now save the settings and select this newly configured access point. 8. Switch on the mobile data. Now, you can use Jio sim. 10. You can make calls or send messages ONLY by using “Jio4GVoice” or “JioJoin”. This is for 4G-only phones. For VOLTE phones, this isn’t the case. They can use normal dialer in their phones to make calls. The Mobile Data must be “ON” at all times. 11. Install all the Jio apps to avail the welcome offer. However, we are now restricted to use only 4GB data per day. But, unlimited voice calls and messages. I hope these settings help everyone here. NOTE: I posted this because, people who have gone through eKYC and got the Jio sim from any reliance digital stores, are thinking that they are not receiving any Tele-Verification message or any intimation of SIM activation from Jio customer care. Some people are also thinking that they are not receiving any Network signal from Jio as their SIM did not get activated. This is not the case for customers who have gone through eKYC. Their SIM gets activated very quickly. Hey Yasaswy, thanks for these great efforts! Sir mai jio sim confirmation call attend nhi kar paya jiski bajah se meri sim activate nhi hui kya dubara call ayegi? I have done e kyc online. Finger print is taken but network not available. I have done all setting in phones and 8 hours passed but sim network not available. I’m using Lenovo k3 note. I’m facing trouble while registering jio sim with jio4Gvoice. Is there any option to check status of verification of jio sim? I have put a name while getting barcode but I submitted another document. So how can I solve this problem? There is no problem at all. Unique bar code & valid Adhar card will get you the sim. I bought jio sim few days back i got just one msg about order no On my alternate no. And there is no signal on my jio sim. How to fix this problem? I got order msg on Sep 24th and I have taken sim on sep 1st. When I called to customer care they said my photo in documents is not clear. So they said submit my proofs from where I have taken sim (local retailer). Can I submit my proofs in digital xpress store? Other than this, where I have to take sim so that I can activate my sim early? There should not be any problem if you submit documents in digital xpress stores. But I advice you to confirm it first by contacting customer care guys. My Jio4GVoice app is not connecting to internet. It says offline when my 4G net of Jio is ON. Hey i have brought the jio sim nearly 15 days ago but still haven’t got the signal. I have only received 1 message about the confirmation of the application. I have Moto g3 which runs on marshmellow and supports VoLTE. What should i do to get the signal as soon as possible ?? Is jio sim only for those that hold aadhar card of same state ? Because I have generated code more than 15 days ago and every time I visit reliance digital or express store I have been told that it’s only for those hold aadhar of same state . Now the question is – the aadhar is not valid across states? How can we generate code if we want to select our own state ? Can I get bar code and sim from a dealer on my galaxy s5 by using my jio 3.2.05? Now it’s 4th day yet sim card has not activated. My blank Jio sim card is registered with a Jio number but till now I have not received a verification code what can I do? My name is Mr. Vikram Singh Makwana My jio no. is 87701***880 . I had put it in sim 1 slot with LTE in Yureka Micromax phone setting. My jio sim is catching signals but on calling on 1977 the call is disconnected. I am trying to call 1977 from my no. But its not working. Make sure that you have updated phone’s software. If call is not connecting from default dialer, then use Jio4Gvoice. How to activate the SMS service of Jio? eKYC is only applicable if you have an aadhaar card from the same state from which you are requesting a sim card. Else, you need to do do all the paperwork like filling up CAF forms, submitting photos, and submitting add proofs. We have noted your suggestion. I visited digital Xpress multiple times but they are not giving jio sim because I have different state’s I’d proof. Hey Vicky, I really don’t have any idea but have your tried purchasing from local dealers? I have tried only Digitalxpress and reliance digital both. Visit local shops who sell all kind of sim cards. I have given wrong barcode(last number of the barcode) mistakenly it got processed with my aadhar card details, would that work ? I’ve got order no. message from jio 2 days ago, but haven’t received the activation message, how many more days do I have to wait? It depends on dealer. When he submits your documents at main Jio office, you will get confirmation message. Hi.. I got jio sim and even network is there. I get incoming calls but when i try to call i get a voice mail as ‘the balance in your account is exhausted so please recharge. I am also unable to use internet. I think you have not enabled welcome offer. My current plan is mentioned as Base plan offering for volte + wifi. Where will I get option to select welcome offer? When you open MyJio, one popup window appears. When you click on submit, welcome offer gets activated. Ask customer care to activate this offer. I am unable to conatct them. Automatically it gets disconnect without connecting. If you can activate or is it possible if i go to reliance store and ask them to activate? Please activate it from your end if possible. Or is it possible if i go to reliance store and get it activated? Hello , my name is sarnali deb . My jio no. is 7003***552 . I had put it in sim 1 slot with LTE in Yureka Micromax phone setting. My jio sim is catching signals but on calling on 1977 the call is disconnected. I am trying to call 1977 from my no. But its not working. Install jio4gvoice app from the play store and try make it default app for call/sms. Switch on Mobile data/ Wifi and try making call using Joi4Voice. Hope it works. My Jio 4G Voice is showing offline tried installing again and again checked the permission and connected by trying in two mobile but showing offline, but when i tried another Jio fi device in the same app and same mobile it is connected and shows online, how to fix the issue? Is problem with the device? Is the sim used in mobile & JioFi same? Hey Ashish, we are not Reliance employees. You need to contact customer care. Mera alternative no. Par 1 sms a gaya order no. Ka …..dusra tele verification sms kab ayega? Even m facing the same problem. M getting full network n aswell it show 4g network at left corner… Even my call get ended automatically after dialing 1977. If u get the solution plz do rply.. I hav lenovo k3 handset..
Ur phone does not support volte thats why u first have to Download jio4gvoice app from the play store and then turn in to online after that u can call at the tele verification number. Your device may not be supporting VoLTE (Voice over LTE) hence you can not call any number using JIO SIM using that device, alternatively you can call 18008901977 from your registered alternate number to activate data. When data services are activated, install Jio join (I think renamed to JIO4GVoice) in you device using Jio SIM and then call 1977 through App to activate voice services. Just buy another sim or contact the dealer. I got sim 3 days ago, all verification and registration completed. The sim is still not activated. I didn’t got any sms for tele-verification. I don’t see network bars as well. I called customer and ask them status of my jio no. activation.he told me that he not found any information about my jio no.My order no. is NO000007DPK2. Is this a wrong number? See Jio MNP guide here. I have bought a jio Sim card two days earlier and I have received the message that my documents are submitted and all but when I am inserting the sim in my phone I am not getting the network signals. I have tried all the solutions and at last when I call at your customer care number my call gets disconnected. It’s been 2 days and I am not getting the signals. How to solve this issue? its been 12-13 days and their is no sms for tele-verification, only one #order_number sms came. Tell me how to activate jio sim from mobile other than the mobile from where I used to generate BARCODE. I generated my Barcode from samsung j2 and buy sim. After few days my phones touche screen cracked. After this I use another phone to activate my sim which is also Samsung j2 but it is not registering my sim . it says unable to register you sim number and it is showing emergency calls only. Have you tried sign up with MyJio app? It should work if not you can visit Jio store. There’s an alternate way but I can’t guarantee that it will work also I don’t recommend it. 1] Note down the IMEI number & device id of old Samsung J2 phone. 2] In your new phone, install IMEI & Device id changer app from play store. 3] Change both to old phone settings. 4] Now your sim should work. i can’t register to the jio network i tried the tricks that you explained above what will i do the network was showing while searching but I can’t register on it it shows try again later. I have been using jio sim since 2 and half months. there was no issues. But suddenly from yesterday it has become deactivated. I keep on calling customer care but it is not connecting to a adviser. can I get any solution?? This is weird issue, try these alternate ways to contact customer care. I had gone reliance store and they had provided me a TOKEN and told me I’ll have to come again in this date. I went that date and got sim card by giving my aadhar card only and one reference number of any know person in same Pune city. But It’s been more than 10 days, my friend did’t get any verification call and sim also not in activation mode. So wanna ask you how we can activate my sim?. Contact that retailer or ask Jio employees via facebook or twitter. Mention your order id while contacting. When you buy sim, you get message on alternate number regarding order confirmation. If you don’t have this, then tell them sim card number. okay. Thank you so much. Sir I have already got my jio sim but its already 2days and i Still have not got any message from the jio executives is it normal or do i have a problem? If normal how many days could it take?? Don’t use friend’s Adhar card. Use any other documents such as driving license or voter id. Sir, I get my jio sim but it is not activated and I also can’t receive any confirmation SMS..but I send my barcode to jio center ..and also done all step…almost 15 days ago.. I have got jio sim 10 days ago. But i not get massage foe tele activation. Now what can i do.? My jio sim number 7016876xxx is not activate with lyf mobile. sir, i have generated the code on my phone .by the time they (store agent) used it to activate my jio sim , they says the code is already used ..
but i didn’t used it at alll..
can u explain this sir..
I’m also facing same problem right now. What to do? sir i have heared that my phone will not accept any other sim when i permanently use jio sim. is there anything like that? It’s just a rumor, don’t believe in such stuffs. Please help me to get out of the problem : I am using a Jio sim in slot 1 which is working fine. I do have a problem for using the sims in slot 2 which is also 4G enabled. While Jio sim is in slot 1 and network is switched to slot 2 for using data in sim slot 2 I am not able to use data only voice service works. For this I thought sim problem so changed to other networks also as Airtel, Aircel, Vodafone and Idea all showing same problem data not working, but when I remove the Jio sim from slot 1 the sim in slot 2 immediately gives data service. I tried a lot to get rid of this problem without removing jio sim but failed. Handset used by me is Coolpad Note 3 lite make in the year 2016 Feb. Please please help me to sort out this problem. I will be very thankful to you. Go to settings > sim card manager > Mobile data > change it to sim 2. This should work definitely. Sir 20 days over still no message what to do .loosing hope and getting frustrated.i have taken blue sim which has no number on it. I HAVE USING SAMSUNG J2 BUT STILL NOT YET CONFIRM HOW TO GET UNLIMITED. This message was displayed to me on 14/9/16 and till now my jio sim is not activated.When it will be activated or shall I throw it off. Either wait or ask them on twitter/facebook about sim activation status. sir mera jio sim blue cover me mila tha jisme mobile no nahi tha 25 din ho gai abhi chaloo nahi hua tawer signal aata hai but no survice likhta hai kaya karoon care center me jane se koi laabh nahi hua plz help me …. Activate VolTe in your call settings if you have got a VolTe enabled phone else try calling the number to activate only the data service from any other phone number that you have! Sir.my number or call chalu the abhi band Ho gaga kyun..unable to detect sim with jio bats Raha hya. Call customer care & ask them to block that card. Then issue a new one & for that you will not need barcode, just the documents. I’VE BOUGHT JIO SIM ON 25/08/2016 FROM RELIENCE OUTLET IN HALDWANI, NAINITAL. BUT I DIDNT GOT ANY MSG FROM COMPANY . MY SIM IS NOT ACTIVATE. I’ VE GIVEN ALL REQUIRED DOCUMENTS..AND PROVIDE MY EMAIL ID TOO..BT THERE IS NO MSG OR MAIL FROM COMPANY SIDE. WHAT I VE TO DO NOW. CAN YOU PLEASE REPLY ON MY EMAIL ID GIVEN BELOW. It takes a minimum of 15 days to get the SIM activated! But it can go to 30 days too! so be patient or contact jio care. welcome offers activated on my jio.. but still after completion of 100 mins m not able to call… it got disconnected.. still trying to call customer care but couldn’t solve any where.. when I am calling through jio calling app then a pop up window came” plz connect to 4G or wifi to use jio4Gapp….. plz help what should I do !!! I think, welcome offer has not activated properly on your sim. You can use these alternate ways to contact customer care. Also, make sure that your JioJoin shows ‘Online status’ after opening. Sir i have tele verified fir oth voice and data services but i not getting access to internet i have tried so many things. Hey lakhan, did you managed to get your data working? i am also having same problem, i also tele verified my number and i am able to use voice call but not data services. if you have found a solution then please tell. my jio unlimited offer has not activated yet i bought sim 2 days ago. Please help me and message is saying u had exhausted your account balance. Activate ‘welcome offer’ through MyJio app to enjoy unlimited data. Sir , I have got jio Sim and I could see the tower signal in my jio Sim. Now the problem is about activation. When I try to register my jio Sim card with “jio4G call app “. It says me ” your jio Sim number is not valid “. I had recieved oder number 17 days bfr but still one other process no response no activation, any sggestion from u?? May be you should contact them through twitter. Sir ,my Jio sim first msg received 7 ago but not comes another msg. I’m unable to convert 2gb data to 4gb data . And I’m also not sure they give me 2/4gb data . But I try it like other user to change data 2gb to 4gb but it not work . how to change data and it is compulsory Or not. i activated jio card in samsung s6 and want to use it in samsung e5..how to do it? Hello sir can u please tell me how to get jio sim barcode for iphone 5s i have downloaded all the apps in iphone bt still dont get any options of “get jio sim” in my jio app please . I am using jiowifi for the last about 13 days. And there is no per day capping of data. Its a small drvice like a matchbox in pocket. Battery runs for about 8 hours. Great! Thank you for informing us. By the way, how much speed are you getting? welcome offers activated on my jio.. but still after completion of 100 mins m not able to call… it got disconnected.. still trying to call customer care but couldn’t solve any where.. plz help !!! Dude I can’t thank you enough for this article. I have been trying to get the settings for my sim for a week and finally got it working after reading ur article. Thanks a bunch mate and keep up the good work. With out verification if internet is running then how much mb/GB we can used . And it is possible or not . Please answer as fast as u can. You can use 4GB/day and then rest data at 128 Kbps. I have purchased lyf mobile yesterday got sim along with mobile. I inserted jio sim in 1st slot and my airtel sim in 2nd slot. but no tower is displayed for jio sim, another sim (airtel) is working, on evening i got message on my airtel sim ‘we have received your application for new connection. your order number is xxxxxxxxxxxxxx’. When i try to call 1977 from jio sim, it displays NO MOBILE NETWORKS AVAILABLE, i already set 4G SIM to JIO, Data – JIO, Preferred Network – LTE, APN Settings but still no tower is displayed, wheather tower is displayed only after activation ? I used 2 gb 4g data……now …frm 48 hours its shows emergency call only……why so heppened……. I talkt to reliance store ..they said that call customer care….but customer care ….dont care……they put on hold….1 hour i wait on call to answer…….but no reply…..very very very bad sevies. Try these alternate ways to reach customer care. Verification is mandatory. As a part of welcome offer, you get 4GB high speed data and then speed is capped to 128 Kbps for that day. Without verification no one can access data .? Because I’m able to access data and still not verified number. Sir I have received only one message to my alternate number about 8days ago till now I haven’t received the 2nd msg. Sir i got my jio sim BT I missed my jio number.how can I get back my jio number??? Dial *1# to retrieve your number. Have you set preferred network to LTE from settings? maine jio number 33 days ho chuke hai aur na hi tower aa rahe hai aur na hi activate hua hai aur na hi alternate number par koi msg aya hai my jio number 7017712xxx hai please check number karke bata dijiyega ga ki iska process kya hua hai mera number acivate hoga ya nahi please sir chek karke bata dijiyega my co number 9760791xxx. I can not activate my jio sim. When I Call 1977 it does not connect. My jio sim has been activated but I am not getting unlimited 4g internet. I even received an SMS saying that welcome offer has been activated on my number but whenever I enable data connection, it says that I have exhausted my balance. I have entered the correct APN but still it says the same thing. What to do? Welcome offer only gives 4GB data per day after which speed gets reduce to 128 Kbps. did you get a solution to this? Sir I bought Reliance jio sim 12 days ago but till today it can’t be activated. i have brought jio sim on September 2 but its not activated ..i don’t get any message. My sim is activated but I have no signal. And how to register in jio join app? i am unable to place a voice call that’s why i m also unable to call 1977. however my data is working. If 1977 is not working, then how you tele-verified your number to activate data services? My JIO SIM card is activated. But I unable to do Tele-verification i.e 1977 number? kindly sort-out this problem. Read this to fix problem. I have taken a jio sim on 08/09/2016. On the same day I got the order number (No000006WX3N). But still it is not activated.My jio number is 7010082xxx .When I contact to digital store they said that I don’t think it will activate because you have got blue cover sim and you are from other state. I have taken the sim in chennai tamilnadu. The colour of the packet in which sim was blue. Please reply me whether it will activate or not . I think it will be activated.. I have bought jio sim on 4 September but today is 16 September but still it is not activated and still not got any message. My jio sim got activated but internet very slow can u pls help me on that.?? Try the tricks given here. I have bought a jio sim yesterday noon but I Haven’t received any message, what should i do now? I have received this message” 0***8 is your One Time Password(OTP) for Jio Join. Please enter the OTP to continue registration. Abb tak activate nahi huui. Sir, my Jio app isn’t working. There is no ‘welcome popup offer”. Please what to do after accessing my 2.00GB data. There is only a blank page left. still dont get network on my sim. is it activated or not ? i bought it before 15 days. i didnt get any msg yet about my order. what may be the reason ? I have got a jio sim on 8 th September..and first message was coming on 9 September…but still tele ventilation message is not given…to me why?????? I gave my documents for Jio SIM on 29/08/2016 and got the Jio SIM, but still there is no network in my SIM. But there is no positive response, they are harassing too much, I got frustrated. Please solve the problem and don’t spoil the name of new brand (“Jio”). i call 10 time to this no 18008899999 but every time he give me one type ans your no is activated on 48 hours but still my no is not activated. It will be activated after you get another message. My phone is honor 4x.. it’s been 5 days since I purchased jio sim.. but I am unable to call 1977 for verification..
Sir jiojoin app offline show kar rahi hai connect hi nahi ho rahi hai maine update bhi kar di bt phr bhi connect nahi ho rahi hai kyaa karu? You need to turn on Jio data first & then open JioJoin. I have created a new point here to fix your query. Hey, I’ve got the sim and I got a message saying that now you can proceed to activation. I called 1977, did all the necessary things but then suddenly the call dropped. I called 1977 again and They said that my number is already activated. But the problem is nothing is working. No data and no voice. What must be the problem? dear sir mene jio sim le li hai and mera finger bhi verify ho chuka hai…or 1977 par call kiya joi number se lekin call end ho jati hai mene other sumber se 18008901977 par call kiya to bataya gaya ki ye number already verify hai ……..or mera net bhi naI chal rha hai. meri sim se calling ho rahi hai magar net nahi chal raha 10 hour ke liye net chala tha fir band ho gaya 199 par call kiya magar 45 min tak bolta rah you are in Que kya karu. Just activate Jio Preview Offer & you will get free net. Same problem with me. Pls fix it pls. I had bought jio sim on 4th september. But have not yet received any televerification Message what to do? Wait few days more..you’ll get another message. Using sim for one month yesterday outgoing&incoming calls stopped working.only i can access internet. Have you opted for preview offer? Because when you buy sim, you are provided with base plan (2GB net, 100 Minutes Calling). You might have exhausted that 100 mins. maine jio app install kiya wha per get jio sim nhi a rha option. This means there is something wrong with your IMEI & Jio servers. There is method to bypass this but it is very risky process. You need rooted phone & then you have to change IMEI & make it look like Samsung phone (here is complete guide). This might solve your issue but the best option is to try it in another phone. mai aj mini realince store gyi thi woh kehte app install kro bar code krke aoo 10 days baad.. I submitted aadhar proof and two passport size photographs after 1 week I can’t get any message for my alternative number. Only 1 sim is allowed per barcode. I will not recommend this but if you want, you can block your sim & take duplicate one from digital store. I have taken a sim from since last 20 days…But does not show any type of network.And my Complaint no is SR000001GU5K.when it will be activated???? I recently purchased a jio sim from Reliance digital store.. all my verification was completed.. with my adhar number and finger print.. they have told me that my sim will be activated within 2 hours but it almost 52 hours… My sim is not activate yet neither i recieve any message from jio team.. I tried to call in jio call center but no response… No one is picking up my call..
You should wait for 2-3 days. To your surprise, many people have been waiting for more than 15 days. hi aryan… my jio app is showing unlimited data and calls bt when i click on my plan it shows that i have used particular amount of data and mins … plz suggest whether i have plan of unlimited data or have 2GB data plan.. If your phone has VoLTE, then call should connect automatically. If not, you have to turn on data & use JioJoin to make call. my jio app is showing unlimited data and calls bt when i click on my plan it shows that i have used particular amount of data and mins … plz suggest whether i have plan of unlimited data or have 2GB data plan.. If MyJio is showing unlimited data then don’t need to worry. Everything is fine. After consumption of 2GB, it will be switched to unlimited plan. sir, already..its 15 days passed but didn’t get any message..n sim not activated..
can anyone tell whether i can activate my number by calling customer care only…as my nearby jio office is not cooperative at all. so kindly reply if anybody activated sim by calling the toll free customer care number only. Contact Jio executives by tweeting your message here. I have seen many guys who have got positive response from this method. Sir I got my oder number for my documents when will I asked to get telephone verify ? It can take few hours to days. You will be notified on alternate number. Sir I bought the Jio sim using the e-kyc process on 10th of september, I inserted the sim in which I generated the barcode from the moment i got the sim it is in the phone . I only got the confirmation msg and I haven’t got any msg after that. And I’ve put the preferred network type in 4g/LTE . It’s been 4days and my sim hasn’t been activated whereas it should have got activated within hrs! Please help sir! while generating bar code….my details were not asked…..
like mobile no. and email…..
how will they verify my no.? my bar code has been generated…..
You don’t need to worry about verification. Just show bar code at retail stores & everything will be handled by their team. Sir, by mistake i activated only data service on my jio sim. How i can activate voice services also. Right now im unable to make any call using jiojoin app. How can i call again on 1977? I have bought JioFi yersterday and it is already tele verified. i can able to browse internet. But while signing up to MyJio, OTP is generating but on the next popup it will ask for the email id. After providing the email id it is saying Thank you A verification link has been emailed to you. Please click on the link to complete Jio ID sign up process. The link will be active for the next 24 hours. But i am not getting any email or link in my inbox or junk folder or any folder. Myjio sim liya 10 din huya nombar aya 4g network aya LTE aya lekin activated nahi ho raha hai. Call 1977 to activate sim card. sir mene sim activate hone se phle sim lga rkhi h nd sim no ka msg b aa gya bt network ni aa rha koi problem Ho gyi h kya. Hi, i bought jiofi few day ago. Today i received the message to Tele verify through registered mobile no. Anyone facing these problem how to solve it?? I think you have bought this MiFi before 5th September. Because those who have purchased after 5th Sep are automatically getting migrated to unlimited plans. So, now you do one thing. Insert sim in 4G device & Open MyJio app. Wait for automatic login and then click on ‘jio account’. Swipe left sidebar & click on My Plans. There you should see 2 plans, first one is of 2GB data and second is of Unlimited MiFi Jio preview offer. If you can see such format, then call customer care & ask them to activate unlimited plan. Within few hours or days, your plan will be switched to preview offer. I got a jio sim before 12 day.but don’t any msg in my number. I got the sim on 5th September but haven’t received a sms. What should i do? Also no network is appearing. how can check jio sim activation process, because 14 day pass out sim is not working till date. My 2GB data is exhausted, I can only msg and call now. What to do to get unlimited internet for one year ? send me cusomer care realince jio no. Contact them on Twitter, their response is faster on social media sites. It is already given here. I got my jio sim on 28 august,but still not yet received any single message on my alternate number.It’s over 17 days of my Jio sim but still not activated.so what to do now. You should call customer care. I bought jio sim before 16 days but not received any msg r tele verification content. What i should do? Can you tell me any other way to find my documents is what process pls help ..
Did you got ‘order confirmed’ msg? See, all they need is 1] Proof of address & 2] proof of identity. So, your Adhar card & pan card together will be sufficient to activate your sim. i got an sms on alternate number on 11/9/2016 saying that my phone number is ready for televerification. even though my sim was in slot 1 with 4g mode i didnt get any tower (cross on network). The next day i got a call on my alt number after which i got a message that it is televerified and is available for data and for calls need to call 1977. However i didnt get any data active. even thoughi was having fullnetwork i wasnt able to make calls to 1977,198 or 199 or the toll free number from jio sim.Now again today i have received 2 more messages saying that it is ready for televerifcation. but all the time i try for 1977 or toll free number from jio or alt number, it just shows CALL ENDED. You are calling through default dialer or JioJoin dialer? Follow this article till 8th step. Take a backup of all Jio related apps so you don’t have to install each of them again. Still, I’m not confident if this will work or not! Please try & confirm. Have you got ‘your sim is ready for tele-verification’ msg in alternate number? If not, then you will have to wait. once jio tele verification call came in my number but i cant recive it …but now they are not calling again as per the other company sim …. Why don’t you call them on 1977? Documents & Code is given, still no sms is received. its around 15days over. Bro I need ur help. I got only one message till now,when they r going to send my jio no. I will get jio sim on 3.09.16. I will get order no. on 10.09.16.but still no massage for sim activation. 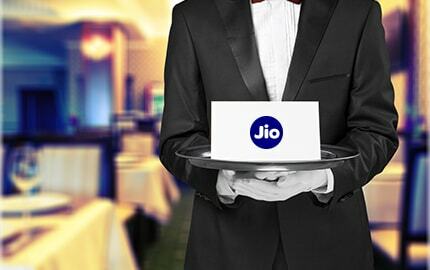 Hello “Dear Customer, Due to overwhelming response to our Jio Welcome Offer, there may be some delays in activating your connection. We will inform you via SMS once your JIO number 7002×××××× is ready for televerification. Thank you, Team Jio.””what should i do now? You should wait till you get another message. Read this post to get resolution. I had taken jio sim on 6th september bt still my sim has not started. Yes same problem mera bhi hai so what is the solution of this problem….. Please go through the guide given above. I’m sure you will find solution. Have you gone through above guide? Almost all queries & their answers are mentioned there. Which handset are you using? This is the last option. If that is also not working, then unfortunately I don’t have any clue. why cant i get 3G network atleast on my phone?? They don’t have 3G network, only 4G VoLTE. Mere Lenovo a6000 me Jio Sim Chalu Hoga? I have bought Jio Sim Card after 3 week. But my sim card network showing Emergency call only so Kab mera Jio sim chalu hoga. Have you got 2 msg on alternate number? No. I have not received any msg in the my alternate number. What if sim is lost before activation? Can they issue duplicate sim ? I have photo of old sim & sim no is with me. Now activation message is also received. I think you can issue another sim. Just call customer care & ask them to block that sim card. Edit : Once your card is blocked, you can issue another one from nearest digital store. Just show them proof of identity. I have done my ekyc 12 hours ago..but still my jio sim not activated..I did not even got a message on alternative number..what should I do ? Wait for at least 72 hours. Try installing old apk version (google it). Search ‘jio 3.2.05’ in Google. Yes, it was working before. Don’t know if it works now. meko.sim liye hue 16 days ho.gye bt koi.msg ni.aaya na e alternate no.pe.na khin or …to kya m ab new sim karid skta hun ? You can purchase new sim but on your parent’s ID. Or you can block your existing card and grab a new one from stores. When i put sim on my mobile it shows ind jio but no signals . But no msgs so sir when will i sim activate? Now its over 20 days. I got the sim on 5th September but haven’t received a single sms till now. What should i do? Also no network is appearing. You have to wait till you get sms. Many people have been waiting from almost 15-20 days. Hlo sir odr numbr ka msg ane k kitne time bhad tele verefctn ka sms aye ga ????? It depends, some gets within few hours while for some, it might take up to few days. I really appreciate your effort for writing these FAQs for Reliance JIO SIM Activation.It worked me immediately. i saved lot of time by your post. Thank you so much and may god bless. Get a jio sim approximately 14 day but not active and only for one sms your order number and not a network signal sir plzzzz help me ??? You will get another sms for confirmation. Wait for it to arrive..
Sir how many day wait ? Sorry! I can’t guarantee any date… Why don’t you drop an email to their customer care? I got the sim on 7th September I have received one msg from Jio net. But still verification msg not received can u help me??? Hello sir I got my jio sim on 4 september but on that pack there is no mobile no and still sim not activated can u pls tell me does this sim valid or not if yes then when will my sim will activate. If you have got 2 sms on alternate number, then you will see signals after inserting sim. To check number, you can use *1# code. I have taken jio sim on 27 augest .till date it is not activated.can I check the status of my Jio sim activation process.my bar code is alredy expires on 8september and i have recvied only one massage on my alternate number.i have called 4 time on this no 18008899999 but still my jio no is not activated..
Write to care@jio.com . By the way are you sure your barcode has expired? Because I have generated barcode on one of my phones & it’s still showing expiry date as 31st December 2016. My sim purchase was purchased 8 day back but did not got activation msg. Sir, I m tele verifying my sim calling 1977,it disconnected just after it was dailed. I followed above procedure too but there was no such msg “use as text msg only” on my jiojoin app. Instead it was registering my no. . Now it’s showing “configure jiojoin using the no. of the sim” . What to do now??? I got two sim one for me and one for my mom my sim got activated within an hour but the another sim is not yet activated it shows no service and sometimes emergency calls only . On my sim it didn’t required tele Ver. it was already done … What to do with another sim . Both phones are same . I have made all the settings same as well . Please comment thanks. I got jio sim before 15 days still i didnt get any message regarding application and activation.also asked the person in R-digital they are telling me to wait.what should I do now. Hellow Sir… Jiyo ka network hor jagah milega bola tha. Lekin mere ghor k same Jio ka koyi tower nahi hain. Ab me kyaa koru. Hello sir i got a msg showing my order number .what should i do now?when the sim card is required to insert in the mobile?please help me sir.Thank you.. Wait until you receive another message saying’ ‘your jio number is ready for tele verification’. I received jio sim before 12-13 days but i have not receipt any sms or confirmation and your authorized deal said will be start 1-2 days . You will receive 2 messages on alternate number. Only after that you can activate sim. We are not connected with Reliance in any manner. You have to wait till you get confirmation sms from Jio. I think this is just a Rumour. I have gone through Jio’s terms & conditions, FAQ’s but didn’t saw such type of agreement. I got Jio sim (No.89918400400006834886) on 5/9/2016. Till today, I am eagerly waiting to receive that important SMS for instant activation. Due to late activation, the offer of free services up to 31`st.Dec, 2016 seems no relevance to the promise made. Kindly help to get me activated with Jio. Have you got any sms on alternate number? Sar mere sim ke 10 din ho gaye he but 2 sms aye he otp code and order no. Are you getting range on sim? maine jio sim or mobile ghaziabad se liya tha abhi tak meri sim activate nahi hui hai. Wait until you receive 2 messages on your alternate number. I got my jio sim.i didn’t recive any message.if i insert the sim and call 1977 will my sim activate?? If you are being able to call 1977, then just go for it. Are you getting symbol of VoLTE at signal bars? Also you should switch on 4G data & make call through JioJoin app. i have got sim number and msg too to verify my number but unable to verify as LTE mode is not coming in my set i am using SAMSUNG GALAXY GRAND PRIME 4G .can u please help me wat shuld i do? ?jio join is also not working. Have you switched preferred network to LTE? LTE is not coming that is the problem. Yes, you will receive another msg of confirmation. Your phone is 4G compatible so you should not face any problem while activation. By the way, what error are you getting? not received verification link in email for sign up. cant sign in without it. says id and pswd do not match. Without complete sign up, you can not proceed further. Mails are getting delayed due to heavy load on servers. Keep trying in midnight or early morning. I got jio sim 8 days ago but still I didn’t got any msg about my phone nmbr?how much time will it take?pls reply at the earliest. You will have to wait until you receive msg. I have taken jio sim on September 1st.till date it is not activated.can I check the status of my Jio sim activation process.my bar code expires on sep 15th and still not got any message to my alternate number.so please suggest me. Thank you for choosing Jio. We have received your application for new connection. Your order number is NO000007DM1Z. did u get the sim through e kyc process ? Wait for few days or just contact sim dealer. I got jio sim 7 days ago but still I didn’t got any msg about my phone nmbr?how much time will it take?pls reply at the earliest. Hi i have successfully activated my sim but there after when i try to call any one or browse a page its says credit not Available please recharge. I have one plus 3 and i got msg saying the jio sim is ready and call 1977 to activate .but i dont find a single signal to my phone .I tried all the methods mentioned above nothing seemed worked. FYI NOT: i had already put my sim on tht port previously befr i got the msg of activation. Restart your phone & try again. My SIM is not activated before 4 days.I was buy jiofi and get a free SIM card.But till my SIM is not activated and I don’t have any message from jio.when I call to the costumer care ,they are so busy and I wait for 1 hour but not connected with jio agent.when I call to digital express mini where to I purchased this product they said ,” we are already ordered punched your kyc form.my jio no is 7008927xxx. Now my jio is ready to use. Thanks for your kind replay. Email id which you use for JioID signup will be used for further communications. Keep your data on while making call. 1) Click here for 1977 Fix. 2) Read this for incoming & outgoing call issues. If your phone is not 4G, then app will not show ‘Get Jio’ option. You need 4G LTE enabled phone. That’s why you are not getting this option. Offer is only available on 4G phones. Yes, it’s 4G. I was confused. Still, why don’t you give it a try from another device? I think, problem is with phone only. I will recommend you to try it in another device. The latest updated APK will not show the generate code option, you need to download the old version for coupon code to be generated. This means, your phone doesn’t support VoLTE at this moment. JioJoin app uses VoLTE network to connect calls. This feature has nothing to deal with phone’s hardware. It completely relies on software. So wait for few days until your mobile company provides VoLTE update. To add this, Micromax has recently provided this update for Yu Yureka phone. Mera data 2g speed se chal Rakhi hai voice verification ho chuka hai but data verification nahi ho pa raha hai what can I do anyone help me plz……. Bhai log.. Agar aapke jio sim me range nahi dikha raha hai toh apke phone pe Sirf jio sim daalke fir se try karo.. Mera Aise hi range aaya..
3. Sim detect karne tak wait karo aur Woh app ke dialer Se 1977 pe call lagao ( apna aadhaar card ke last 4 digits ready rakhna)..
Its as simple as that.. I just wrote the above steps in Hindi for people too lazy to read stuff.. I am brought samsung z2 and jio sim will offer with tbis mobile.till now it was not active only full strength signal and written emergency call only how i am active my sim..
get jio sim option nhi a rha.. I get the message of activation but I can’t get the network on Sim. I’M not able to call 1977 also, what can I do? same problem with my sim also..
Are you able to use voice calls & internet? Bhai mujhe jio sim liye 15th days hogaye he sim activate nahi hua. Thank you for choosing Jio. We have received your application for new connection. Your order number is NO*************. Try *1# USSD code to see your number. But I do not have range in my jio sim and neither I have the number .. .
My data is working but voice call is not working offline and in online voice call is working through jio 4g voice app which is limit 100 minutes. How can I take benefit free voice call offline send me solution. My voice verification is to not activated and not response my call. I’m not get 4G speed. I buy the Sim 3 weeks ago. but it cannot activated . there is any problem . send me the solution what can I do. My jio number is 7014619xxx.. Not activated from last 20 days.. I am trying to call 1977 from my alternate ni. Bt its not working. Dial *1# to get your number. I’m not sure about Jio but it works for other operators. Refer this article. Do let me know if you are still facing problems. Clear all background apps > Turn off data > Open MyJio app > Wait for 5-10 seconds > It will show ‘no internet connection’ > now turn on internet > An option will appear on MyJio saying ‘Get Free Jio Sim’ > Click on that > Over! Plz don’t try wifi&roaming network for get jio sim. You can easily get jio sim offer by airtel network. See all jio app are properly install. In last restart your phone and open jio apps and wait 1-2 minute. Hello, will the JIO 4G work on lenovo k3 note with marshmello 6.0? I have heard that Airtel is not letting OTP to deliver on sim. So try with any another sim. The most useless SIM to be introduced. It’s not getting activated. No customer support available and even the store from where the SIM is purchased does not have any answer. Had it been any other Promoter there would have been hue and cry in the Media and Paper. But because of money power and govt. support there is no news about it. SAD MEDIA SAD GOVT. I got jio sim on September 3….but I don’t get any message from jio…help me what should I do? Thank you for choosing Jio. We have received your application for new connection. Your order number is NO000005BINP. getting Jio sim no signal bar no 7010142xxx pls activate. I have used 2gb data on my jiofi device & after that “data expired” message kept showing. Now for almost 3 days there is no signal(red light blinking over signal indicator) at all. Atleast there were signals earlier. Customer care guys keep on making nonsense excuses. I have bought the jio sim 10 days ago . I have received the first message 8 days ago. But dint receive any verification message still. I called on the toll free number 18008901977 from my alternate number to activate data services.my number was verified but I didn’t receive the sms for confirmation.now lte signal is shown but the net is not working. Hello yesterday I called on the toll free number 18008901977 from my alternate number to activate data services.my number was verified but I didn’t receive the sms for confirmation.now lte signal is shown but the net is not working. Don’t know what to do.reliance store guys said that when you will receive the sms then only the net will start.kindly help. What will happen if jio sim is not activeted yet and code is expired.. Then how can we activate our sim. Wait for few hours/days, your sim will be activated. 8 days after getting Jio sim no signal bar and application received msg. I have completed my tele verification, and told that after 10 minutes i will use my jio services. But when i want to make any call it redirect for tele verification and after choosing language it tells that after sometime adviser will help me all time and, call disconnect. I am using Samsung J7. Please help me .. Same problem here..can anyone help? Same problem mere sath b hui? Please Install JoinJio app from My jio. and dial 1977 from JoinJio App. Bought Jio-fi device with simcard. I received a SMS within 2 days that my number is ready for tele-verification. Early morning I did the verification process. Downloaded My Jio app for my iOS device. Signed up using generated OTP from my alternate number. After signing up it said a verification email is sent for activation, but I did not receive any email. How long it will take to get my Jio-fi working? Same thing happen to me. I have not received any mail. Customer care executive told me that it can take 24 hours to active. But 24 hours now completed. Nothing happen. Also when i am calling someone it says balance is over. Data also not working. Only incoming working. Yesterday I have get JIO SIM and activated with ADHAR auto process. I have get message in alternate number about application receive. After 4 hour I get Signal JIO 4G in My Mobile but I am not able to call or use data. Even I can’t call to customer care to get Activate. I have all tried as mention you above. Can you please let me know other issue can have? download jio join app (with your wifi or other sim data) ,now turn on jio data ,open jiojoin app give permissions .and now call any number or 1977 you will redirected to customer care ,just tell you details according to your submitted document and they will activate your sim.it will take 10 hrs to 1day to activate sim. My Jio sim is not activated even after five days. I didn’t get any confirmation message to the number i provided. I put jio sim on the primary slot with LTE as preferred network. 1) I tried to contact the customer care number given in this topic and also given in the sim pack but there were no response other than a music. 3) The sad part is that i had paid 200 R.S for the sim as Jio Office staffs told me that there is no free sim available right now. 4) Now that i just need to activate the mobile data at least. What should i do? Open JioJoin app > Turn on Jio data (even if you don’t have any active internet on Jio) > Call 1977 through the dialer in JioJoin > After verification, sim will be activated. You just turn on data. I think it’s required for VoLTE. I have inserted jio sim in LAVA pixel v2 and its being more than 8 days but still I am not getting any network. I have tried everything as u mentioned. Even call on customer care I’m calling every day and putting hold on for more than 2 hours but not able to talk. customer care number is not working. What should I do ???? please help me ??? 3] Select it & if possible restart your phone. 4] Most probably it will work. I’m getting Jio 4G 4G but when I chose this network I get msg that registration failed, try again later. I’m getting this mssg from last week. Try turning on Jio data. I seen a video where that guy just turned on his data & he automatically registered on network. But I’m not 100% confident about this..
i dont received my order no but receive televerification messege what can i do? Go for tele verification to activate Voice & data. Check your email. If there’s nothing there, then just call 1977 for activation. Thank you for choosing Jio. We have received your application for new connection. Your order number is NO0000059BJR. If you are getting signals, just call on 1977 for activation. No there signals their. My mom bought the jio sims too but after 7 days her sim was ready for verification but mine doesn’t? ? & i didn’t recive any activation sms yet. I try to call & mail to jio vut no reply from there? My offer is only vaild for 10th september. Please please help to How can I activate my sim. Its not work.. & i told that i dindnt got any sms after 1st sms.. My sim is not ready yet to verify. Now i have only 1 day left. I call all the no. Of jio but they didn’t recive. Have you tried it through Desktop? If not, here is link. Do let me know if you still face any problems. Sorry buddy, I have no idea. Actually you should get 2GB & 100 mins of Talktime after activation but you haven’t got. You need to visit reliance customer care/nearest office. my sim is activated but mobile data not activated i also verifies by calling 1977.
but i have not received order id number . whenn i sign in jio app they said u have no recharge on it. Contact customer care (number is given above). i have activated the jio sim, but i didn’t get verification link which is sent to my Email which i was entered through sign up process. with out clicking that link i can’t finish the sign up process. so when could i get that link….??? No need of link buddy. Just call 1977.
i called 1977, but they told your number is already tele verified for data and calling. if i make a call to any other number its saying you don’t have balance to make a call, and mobile data is also not working. That’s weird..but you can try one thing. I’m not sure if it will work or not but just give it a shot. Try this link in your desktop. Scroll down page & you will see ‘New to Jio? Sign Up’ option. i got signed in without any email verification but after login its showing nothing like in others it showing 2gb or something but in my case its showing nothing .. Install all the apps it’s asking to download > close all recent apps including MyJio > open MyJio again > turn on data > wait for few seconds & you’ll be logged in automatically. Now it will show you that you have got unlimited data, calls & sms. Go through the article given above. Most problems & their solutions are given there. I have got jio 4g sim. But after having it i haven’t got any sim activation or delay message on my alternate number and from where I have took this din they aren’t answering properly. What to do to enjoy jio stuff pls guide me. Hello bro ! my sim is activated but it doesn’t show any network i had put it in sim1 slot with LTE in Yureka Micromax phone setting, but i televerified sim by using no. 18008901977 by other phone and in my alternate number i got message that data services are available in ur jio sim even i did that APN setting thing too but it doesn’t show network , so plz help my jio number is 701458xxxx. Edit : Mobile number edited for privacy. Answer to your question is listed here. I bought a jio sim card 10 days before. My jio mobile number is﻿ 701097xxxx. Please proceed to activate my sim quickly. If any needs my﻿ alternate mobile number 887045xxxx. I have edited your comment to hide mob number. You can call customer care & we have given number above. I have already mentioned that you have to enable jio mobile data before opening JioJoin app. Then use dialer in Jiojoin to connect call to 1977. You need to call 1977 for voice call activation. Only after tele verification, you will get access to mobile data. For this, just call on 1977. If you’re still facing problems, just read above article again (we have updated it today). Bro I got the sim on Sunday n I also put it in my HTC. But since then I only received one message on my alternatenumber which I provided at a reliance store. So when I will receive the second message n when it will be activated. Are you getting signals? If yes, then call 1977 for sim activation. only my data services are activated. i m not able to make acall on 1977 to verify my sim for televerificatio even im using jio join app. Make sure to turn on Jio 4G data before calling through Jio join app. I don’t know why you want to flash rom but it should work fine as long as your IMEI & device id are same before and after. Thanx Buddy You Have Been A Great Help.I Owe You One. My sim activated, i can make call, but i cant access internet connection, what i do? Go to settings > mobile data > preferred network type > Select 4G LTE. Now turn on internet. Thank you for choosing Jio. We have received your application for new connection. Your order number is xxxxxxxxx” but still it doesn’t started and im getting emergency call only in network. Leave a reply regarding this issue. Have you called on 1977 number? Hello Aryan,sir i use my all 2gb data but dnt download app…now data finished,i dont know first download app and then recieve unlimited data,please guide me what i do now.i have lyf phone.please help. Download JioJoin apk on any other phone & transfer it to Lyf. Then use wifi or sim2 data for opening JioJoin. Not easy for activation. They do not respond any call.I have tried since the last five days but of no avail. The phone keep playing the music till the customer compelled to disconnect the phone.It is simply embarrassing. I think customer is not crazy about the free data but the service of speedy data. Reliance has started with much hype but it has been turning out to be a dampener. I have already reverted back to my earlier service provider as I need the internet connection most of the time. Moreover Reliance has not issued any statement about the delay in activation or the likely day of activation of all the sim cards already distributed or issued . jio join app se bhi 1977 pe call nahi ho paa raha. call receive ho jata hai par udhar se awaj hi nahi aata . unlimited ke naam par 2GB DATA aur 100 mint call aur 100 message hi mila hai. 1] Check my reply to fix 1977 not working problem. 2] You have got just 2GB data because you have not opted for ‘Jio Preview Offer’. So, you have to activate it first. How? I have a Jiofi device and sim was given with that. I have e verified my aadhar using bio metric reader at reliance digital. I think it will take some time for activation. If you have any 4G android phone, then sim activation process will get easy. Alternately, you can call on 1800-890-1977 from any sim for activating voice & data services on Jio. I got the tele verification message and tried to activate by using jio join app through configuring with my current jio sim . It shows that its registering my sim and after few minutes it goes back to the old state itself. While dialing through normal keypad..it hung up the call automatically. My signal bar and everything is just working fine. Iam using Samsung note 3 sm n9005 4g lte. Please help. You need to turn on internet on Jio sim first. Then open JioJoin app & make call. This call is not a normal one but a VoLTE (call over internet, somewhat similar to whatsapp calling). So that should work fine according to me. Just give it a try. I am also using Samsung SM N9005 -4G LTE phone, but sim not working ..
You have to use JioJoin app to connect the call to 1977. How to install Jio join on ios? I have made separate point for your query. Yes, today we are going to publish a new post regarding this query. Yes, you can use Jio in 3G handset. Use JioJoin app to connect call. bhai g i am not able to register on jio 4g. Even the bars of signal or network are not coming. Tell me fast what to do ? Same is happening with me on my LAVA device Pixel V2. I am not getting jio network. First of all, switch off phone & put your sim in slot 1. Turn on phone & choose 4G/LTE in preferred network. That should work fine.. I bought Jio wifi device for 2899 on 26.08.16 and sim card on same day. in few days back they asked me to provide another ID proof, Which I given before was dark so I gave new ID proof But still its not activated . And the sad thing is the device I bought for 2899/- now became 1999/- only. I called and mailed to Jio customer care but no response. You have to sign in to Jio Join using the same number used at the time of registration. If it’s still not working, just call 1800-88-99999 from any other number that you have. My jio sim liya 8 din ho gaya 1 msg order no aya pls help me. Wait for few more days!